I saw my first horror movie at age 7 and was hooked ever since catching A Nightmare on Elm Street Part 3: Dream Warriors on television. I started attending horror conventions over 15 years ago when my friends and I went to Monster-Mania Con 2 at the Crowne Plaza Hotel in Cherry Hill, NJ. 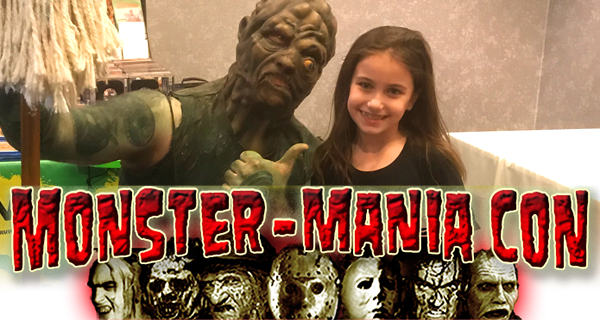 Last weekend, I took my 8-year old daughter Charlotte to her first horror convention, Monster-Mania Con 42, at the same hotel my friends and I waited to meet our horror heroes nearly two decades earlier. While she had a great time, being there to experience this with her was a parenting dream come true for me.